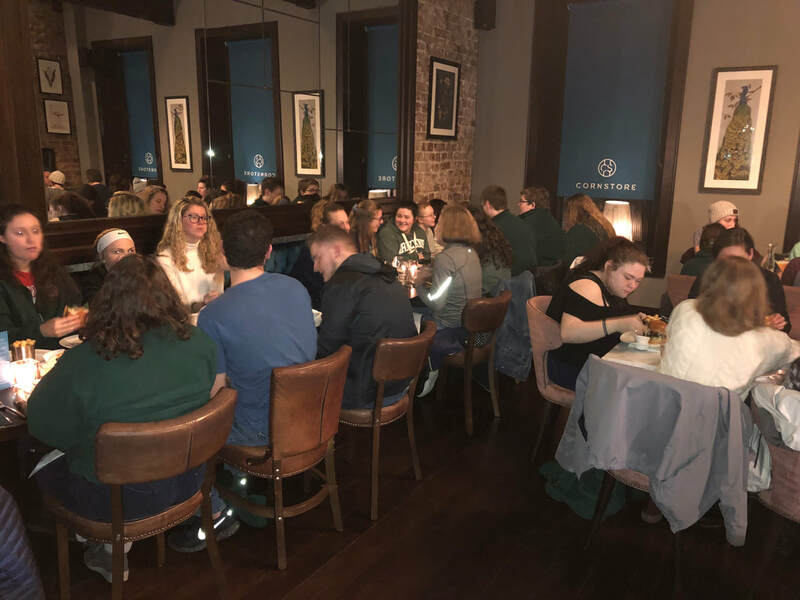 We had our final dinner in Ireland tonight and then had a time of group reflection on what this Ireland experience has been like. Students shared how the experiences we have gone through have enlarged their perspective. Another student share that this has been the best week of his life. Comments were made on not just having the experiences we have had, but that we have had them together. This tour has been about a lot of things. It has been about performing on an international stage, experiencing different cultures, embracing history and heritage, personal challenge in facing the unknown of international travel. Time will only tell the depth of the impact this trip has had on it's participants. One thing is clear to us all, we have certainly been blessed with the experiences we have had in Ireland this past week. We are about to have a 2 hour nap and then head to the airport at 1:45 AM. We look forward to seeing family and friends soon! 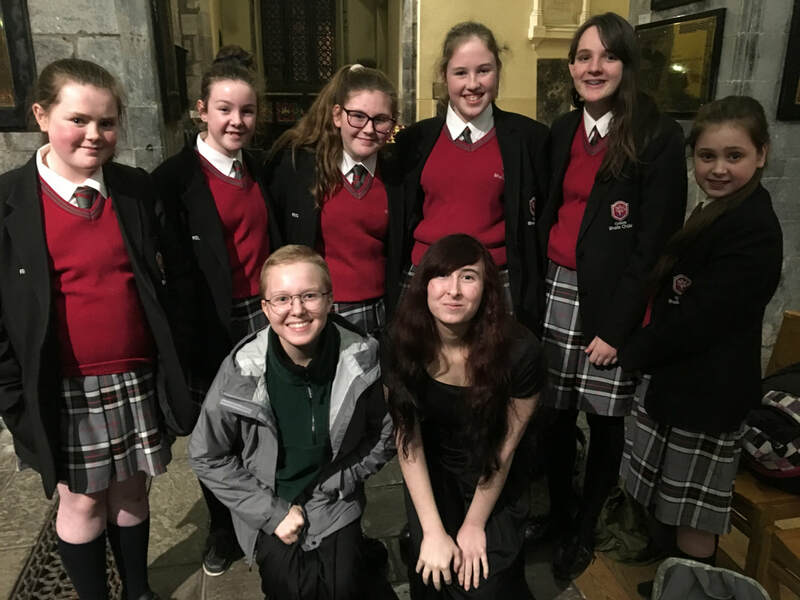 Our Oxford students will never forget the experience of sharing a concert program with the Coláiste Bhaile Chláir School Choir at St Nicholas Cathedral in Galway. 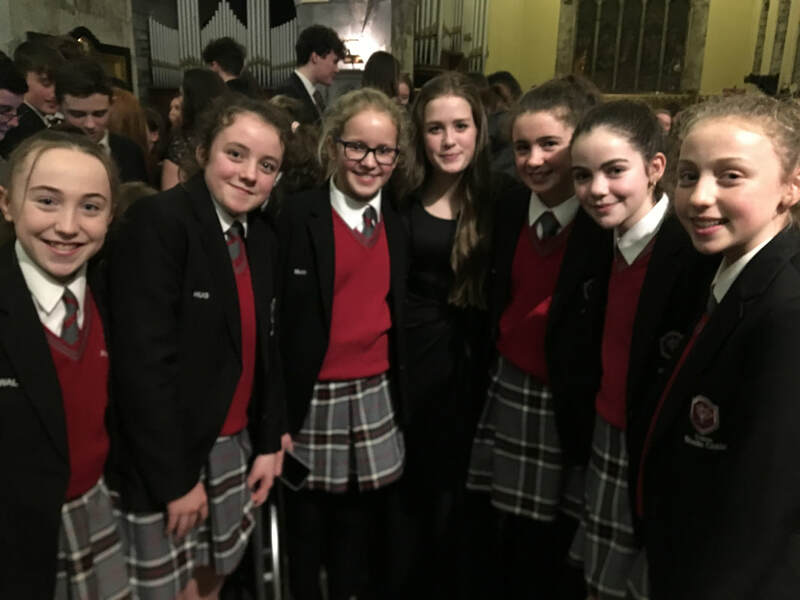 Our two choirs performed to an enthusiastic audience in a "celebration of choral music from both sides of the Atlantic". The Coláiste Bhaile Chláir School Choir opened the concert with a program of songs, which included some Irish dancing. Our Oxford Choir then performed a 40 minute program of songs that were very well received. This collaborative concert was a huge success. What followed the concert was sensational. 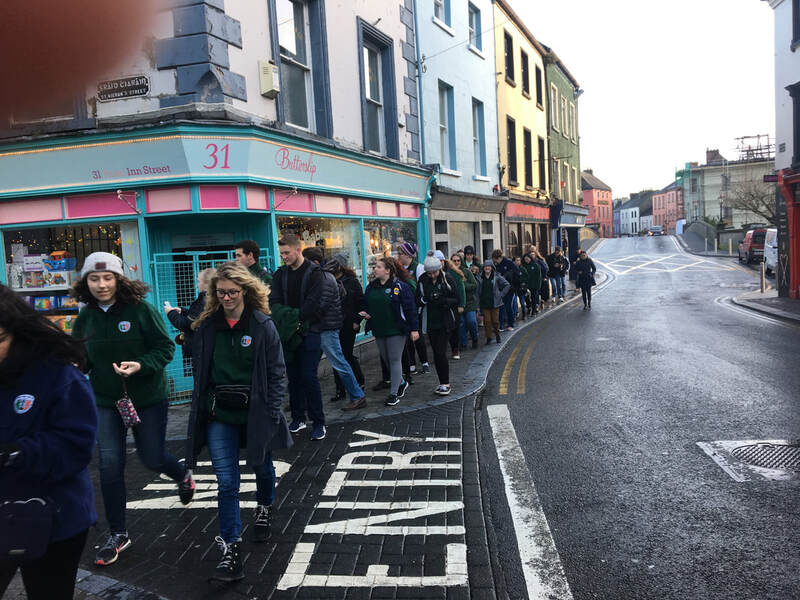 The 110 Galway students and our 42 Oxford students, without receiving any direction, immediately mixed to get to know each other. 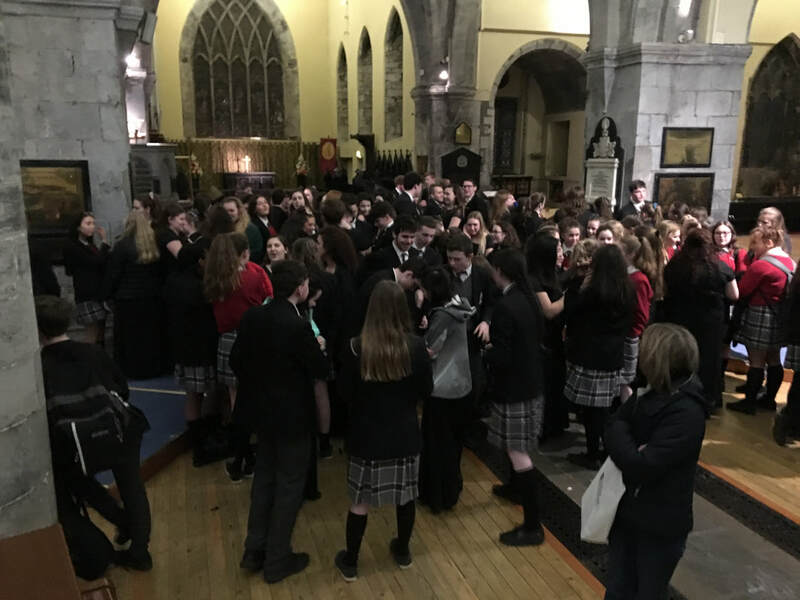 The cathedral was alive with conversations as students from each school couldn't get enough of learning about each other. What an amazing musical and cultural exchange this was! Today offered us great views of Ireland, both above, and below ground. 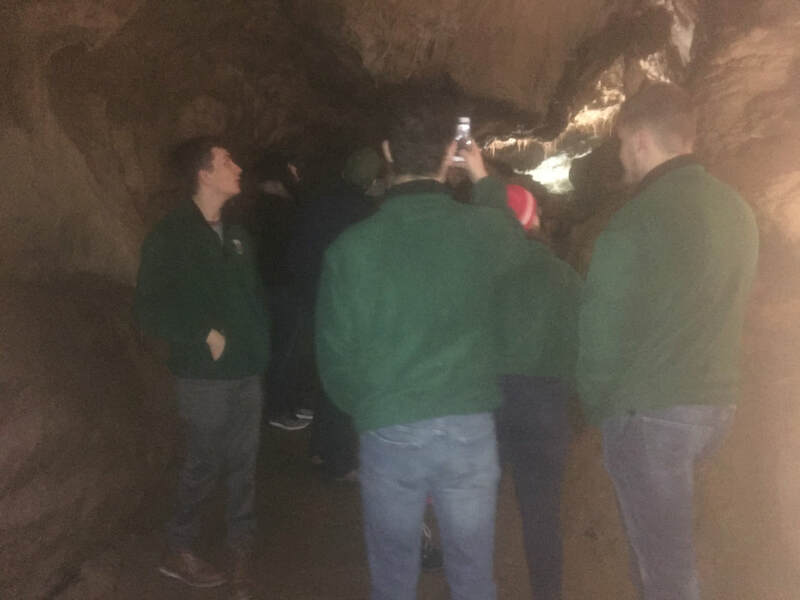 A visit to Crag cave showed us one of the longest cave systems in Ireland. A highpoint of the Crag Cave tour was singing. We sang a couple of our songs in the largest cavern. The acoustics were perfect for blending the sound of the choir. There are many videos that students and parents took of this performance. We also had the opportunity to sing Happy Birthday to a young Irish gal turning 5, who had a party with 20 of her friends. Her parents were just thrilled that an American choir would take time to sing Happy Birthday to their child. It was a wonderful moment. 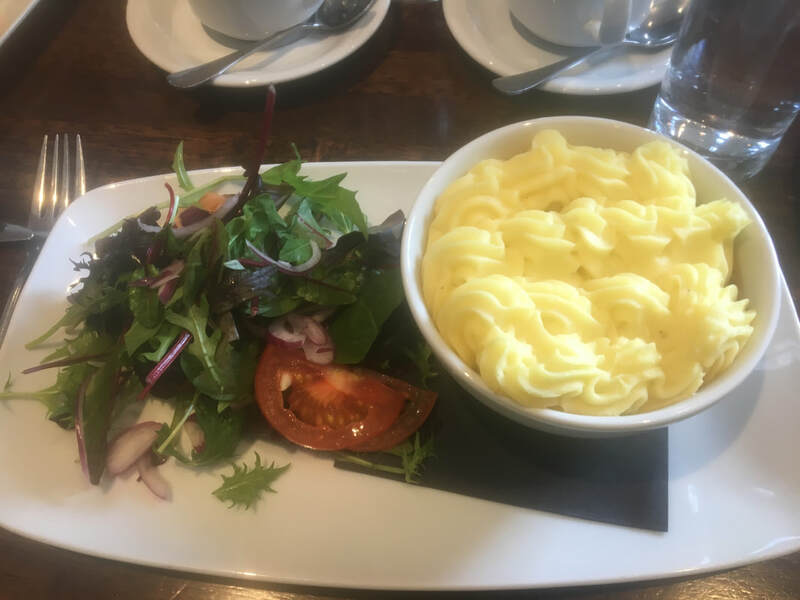 We lunched on an exceptional plate of Irish Shepherd's Pie at the Absolute Hotel in Limerick. We are being spoiled by fine dining throughout the tour! 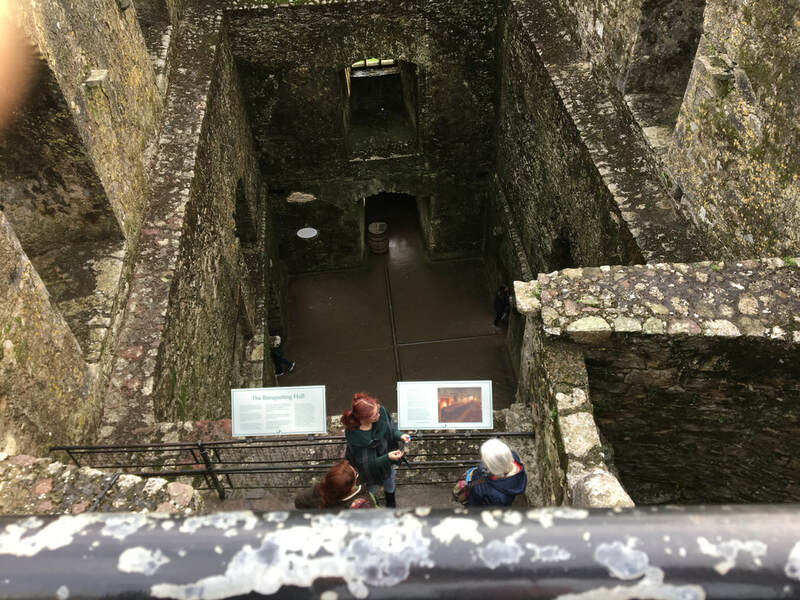 A visit to Bunratty castle and Folk Park was very informative. Bunratty has been restored to the condition it would have been like in medieval times, which offered a different experience than the castle ruins we have seen previous. There were many buildings on the grounds to explore to see the way of life for the land owners and the peasants who would work it. ​Our next overnight was at The George Hotel in Limerick, a very posh hotel with comfortable rooms. A 5 minute walk to dinner took us to the upscale Cornstore Restaurant. As the days of the tour have gone by I have heard students say "my favorite thing to eat was at such and such place". 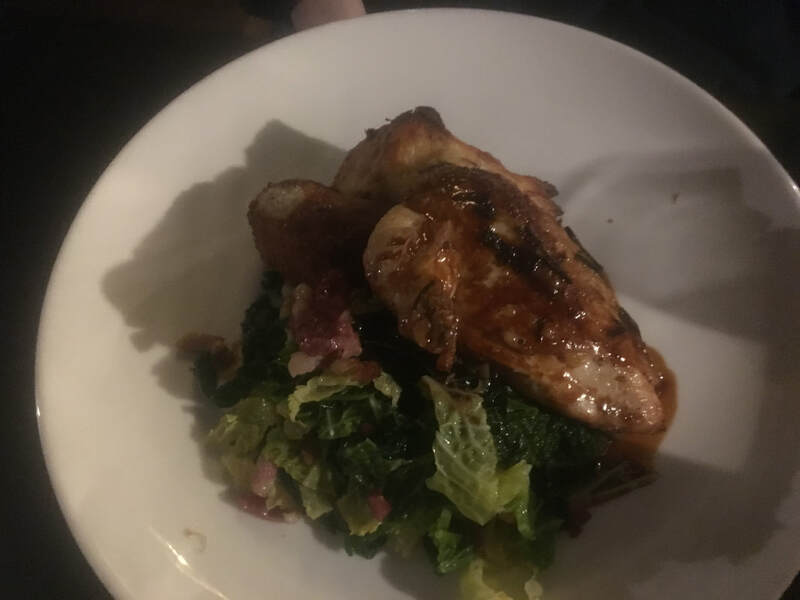 Dinner at Cornstore raised the bar even further, with many of the students saying this was now their favorite meal. 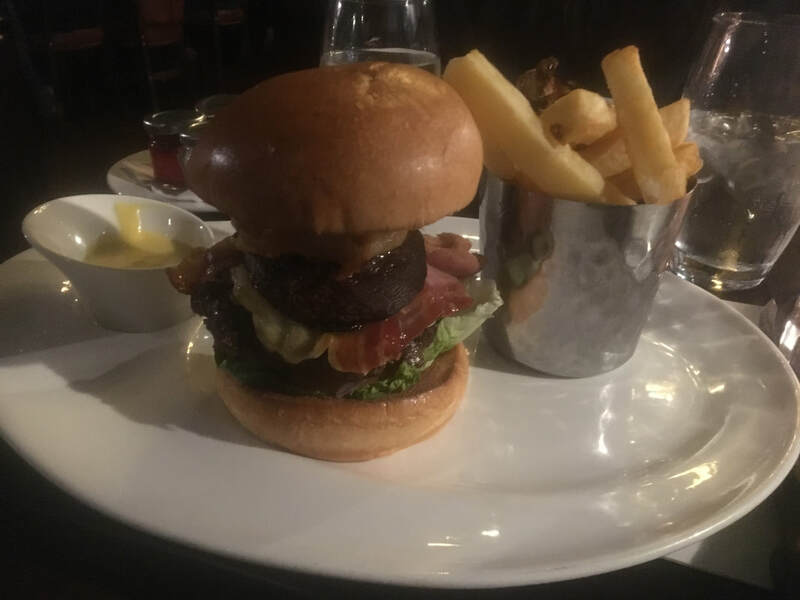 Honestly, I had one of the best gourmet burgers of my life at Cornstore. Cornstore offered us a menu change from the other fine restaurants we have visited. As our Ireland experience progresses day to day and experience to experience, it seems like there is always another favorite thing we do. 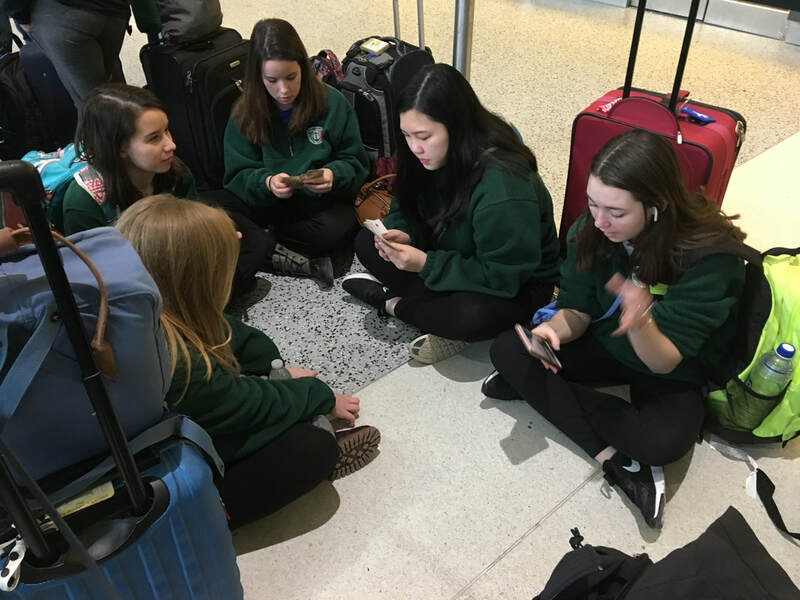 We are all grateful for Ireland and the experiences it is offering us! Tonight we had our first formal concert in Ireland before a mixed audience of patrons from Ireland, The Netherlands, Germany and Indiana (this group was staying at our hotel and came at our invitation). The students performed a very powerful 50 minute concert in this gorgeous small church. 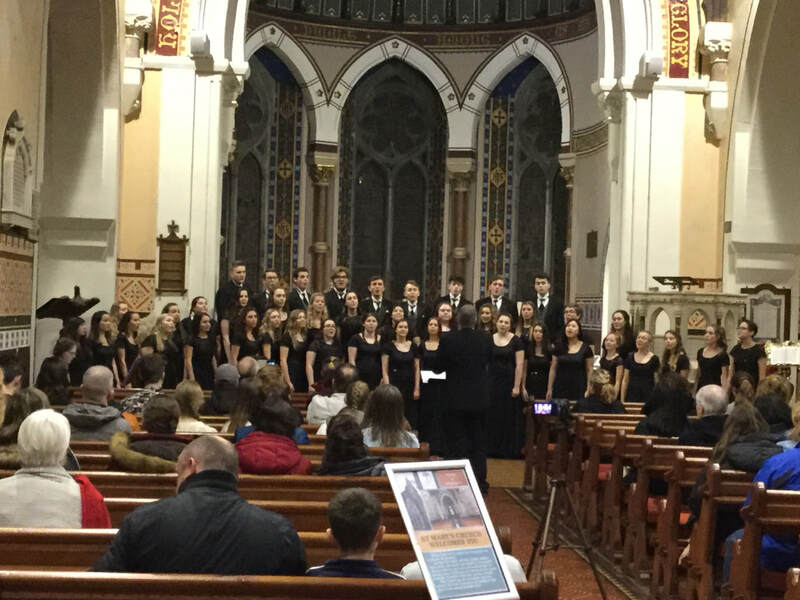 There were numerous highlights to the concert, one of which was an older Irish Gentleman who sang along as we performed the Irish folk song "Tell My Ma". He later mentioned that he hadn't sung that song since he was a young lad. This same gentleman and his wife positively reacted to our performance of You Raise Me Up. The composer of that song was a neighbor of theirs in Dublin. 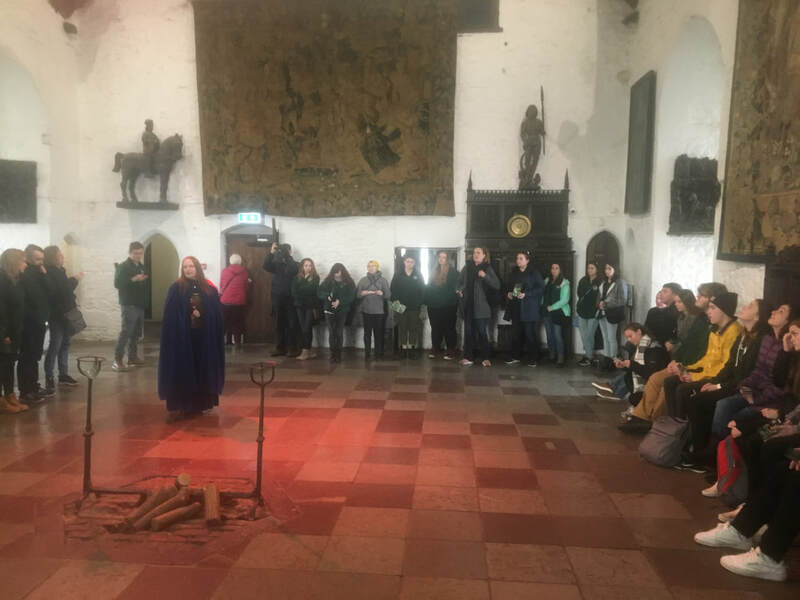 A lot of rehearsing went into preparing the music for our Ireland tour, it was a wonderful experience to perform it at St. Mary's Church is Killarney. Ireland has been very good to us, tonight we wanted to return the favor to Ireland and do something good for them through our performance. Based on our audience response, that was accomplished. Ireland provided us with amazing experiences today. 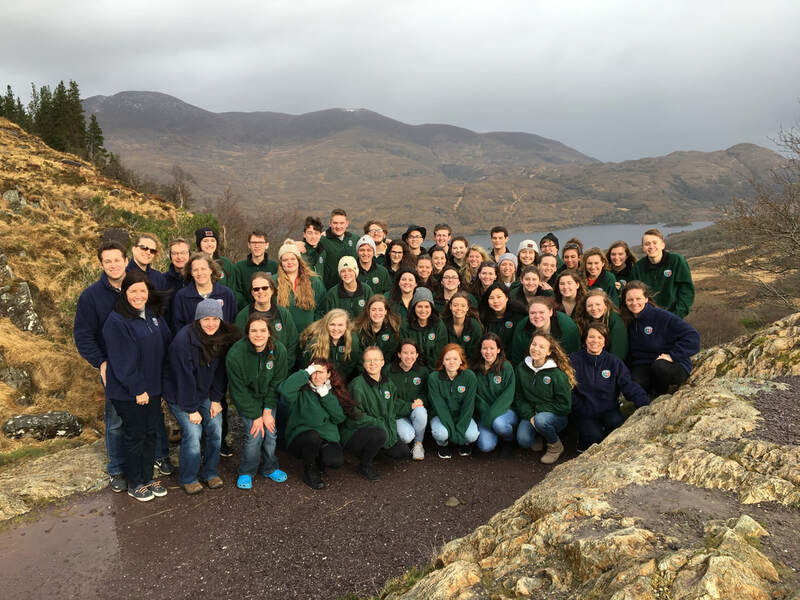 The weather worked out perfectly to offer us a clear view of the Killarney Mountains as we took a trip on the "Ring of Kerry". We took in many stunning vistas, all of which we tried to capture on camera. 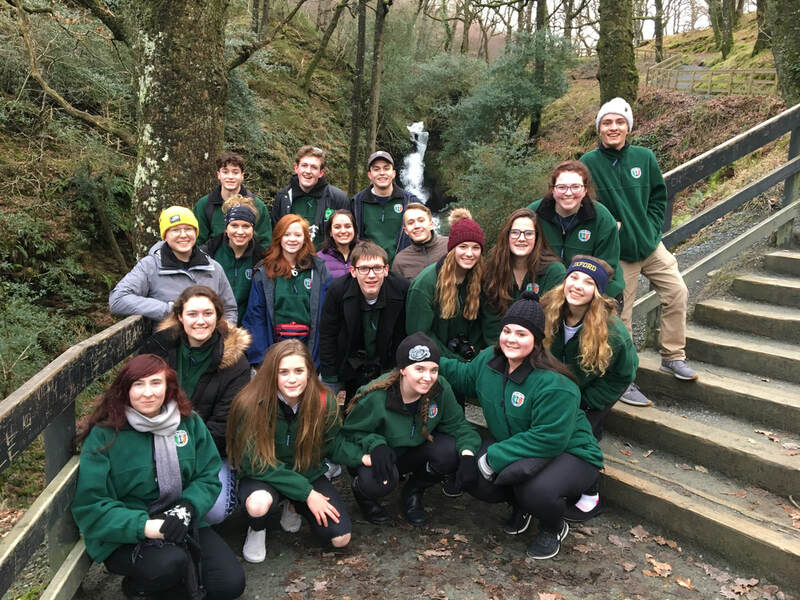 Looking at pictures can hardly describe the magnitude of the experience of witnessing in person the amazing mountains, valleys, lakes and waterfalls of Killarney. 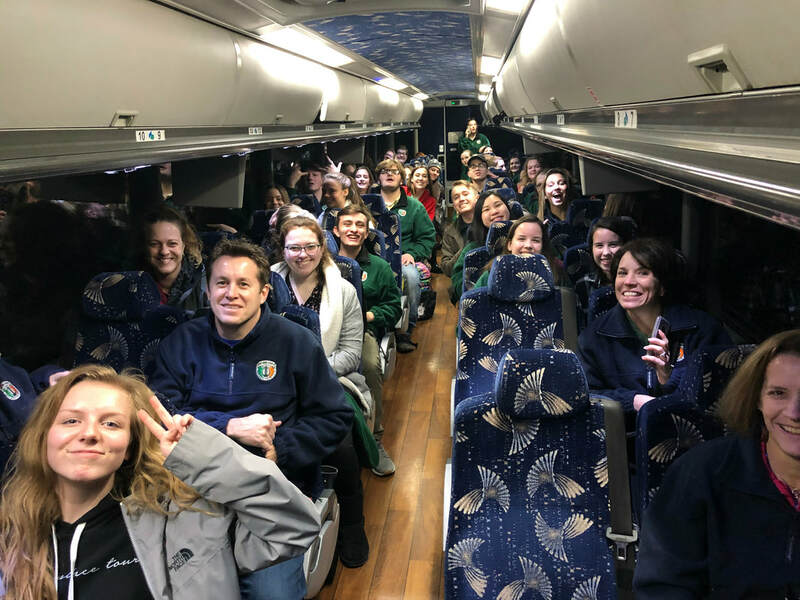 The chilly weather did nothing to curb the enthusiasm of our group as we would hop on and off our motor coach to see all that the lands of Killarney had to offer. 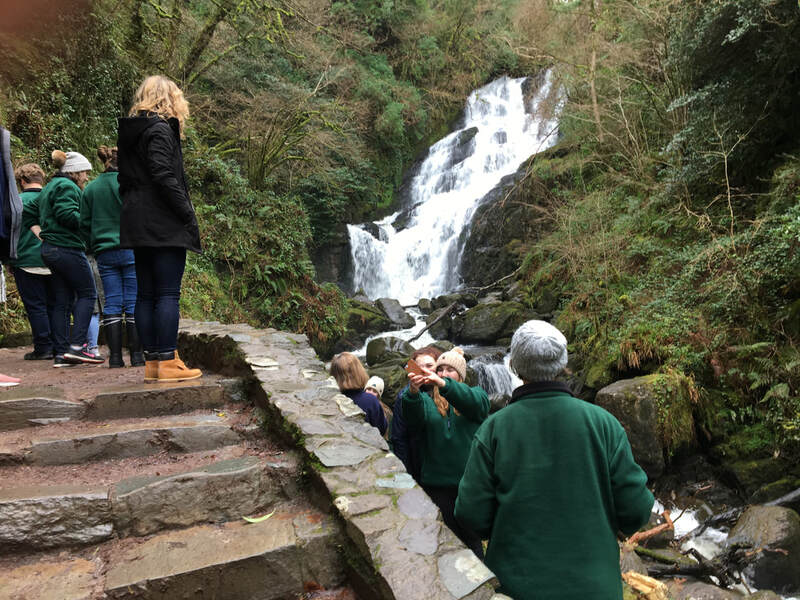 We were truly blessed to see the powerful waters of Torc Waterfall, which a week ago was just a trickle, but we were able to witness in full power due to recent rains. The view of the lakes of Killarney from the mountainside was simply stunning and offered a great backdrop for a multitude of selfies and group photos (note one below). Our travel on the "Ring of Kerry" ended with a tour of The Muckross House, a stately 16,000 square foot mansion built in the 19th century. Our tour in the house paused in the grand entry as our group sang a couple songs for our guide and another group who stopped to listen in (with phones recording!). Note a video clip of that impromptu performance on our media page. 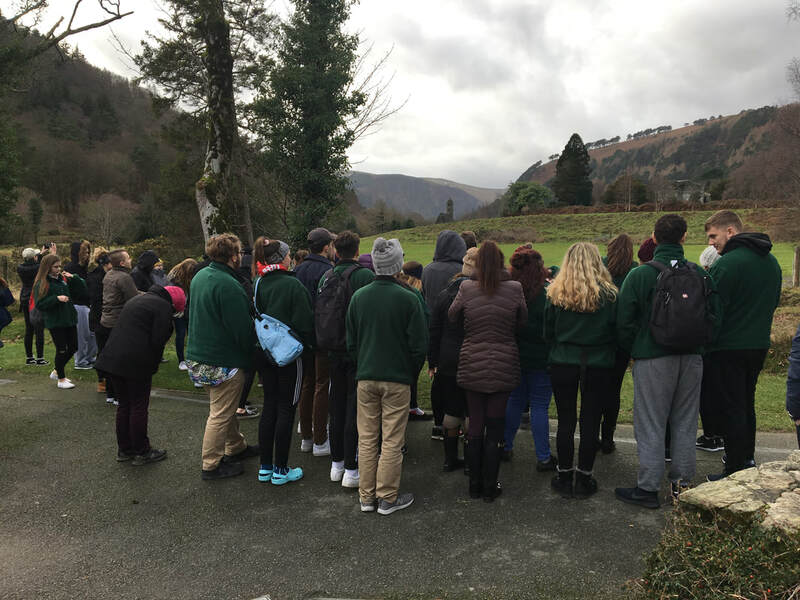 It is clear to see that the beauty of Ireland is leaving a deep impact on our students as they are continually impacted by the amazing variety of sights we are taking in, all of which communicate to us the greatness of this amazing country. 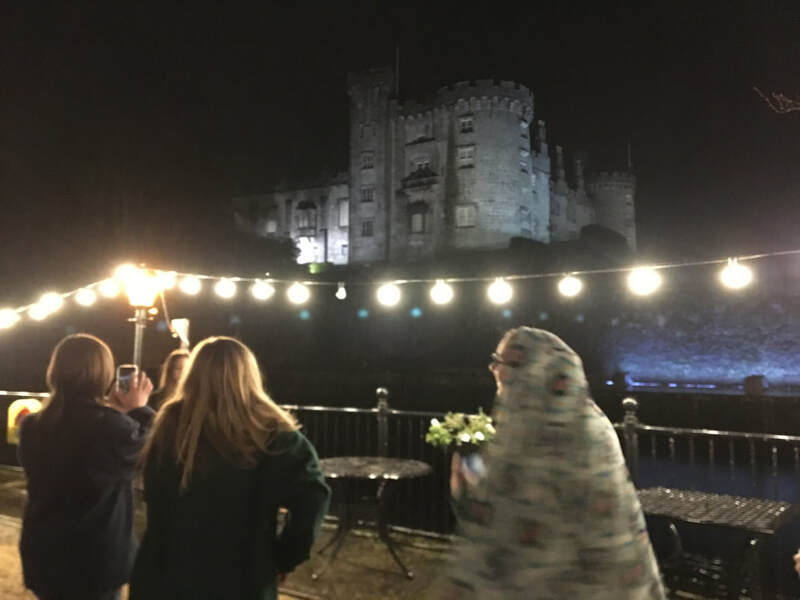 After a great night of sleep at the classy Kilkenny River Court Hotel our students saw some amazing and unforgettable sights as we explored Kilkenny and it's surrounding areas. After breakfast we took a walk on the "medieval mile", starting off with a visit to Kilkenny Castle. We ended up at the St. Canice's Cathedral, where the choir stood in a circle and sang a couple of their songs. The acoustics in this venue were amazingly complimentary to the beautiful sound of the choir. Following a great lunch at Blarney Woolen Mills the students accomplished some satisfying shopping to spend their Euro's. 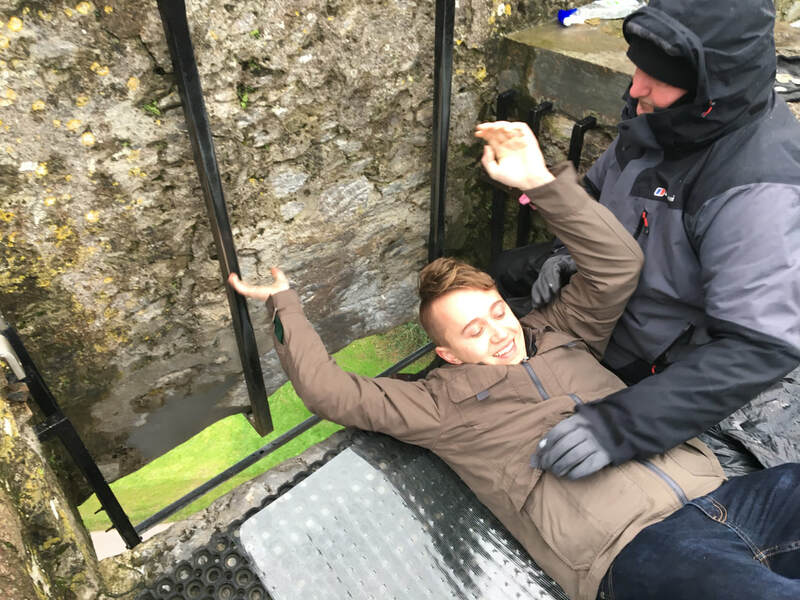 A visit to Ireland would not be complete without exploring the Blarney Castle and kissing the Blarney Stone, which was our next stop. The students made the most of their visit to this medieval site. We have not had a bad meal yet. 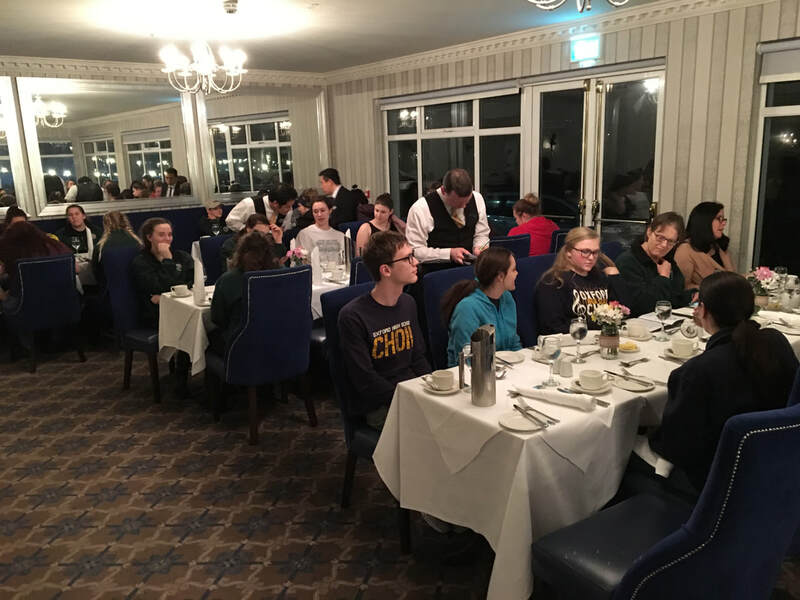 For many of the students the salmon and roast beef dinner at our Killarney hotel was their favorite meal yet. The service we have encountered throughout our tour so far has been world class. 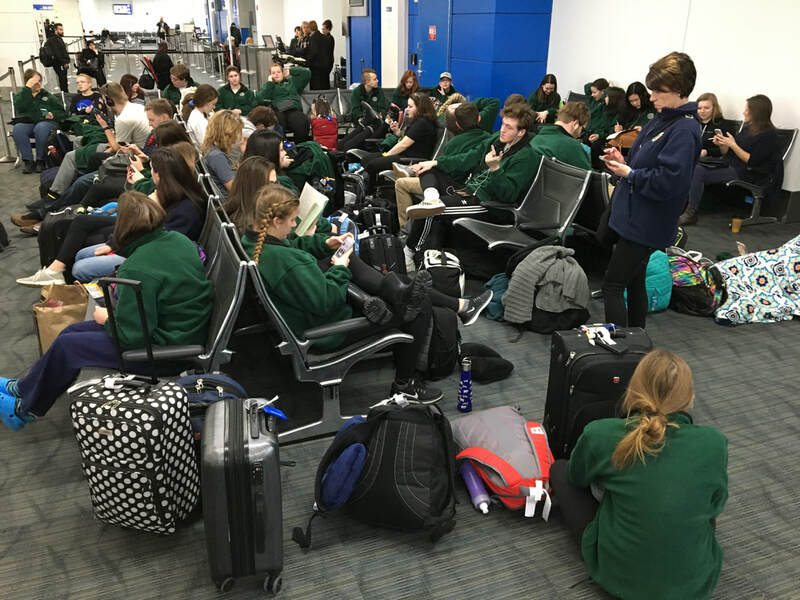 Our group spent almost as many hours in airports as we did on airplanes. Traveling through security took our group only 13 minutes, from there we enjoyed card games, conversation, singing happy birthday to Miranda and Mrs. Culver, shopping, eating and reading. After 8 hours spent in airports and 10 hours in the air we finally touched down in Dublin. In Dublin I witnessed the fastest time for getting a group through customs. An agent questioned me thoroughly about our group and it's activities then asked if everyone in our group was wearing our green fleece outfit. When I said yes, they set about having our entire group come to the counter 2 at a time getting their passport stamped with no questions asked. 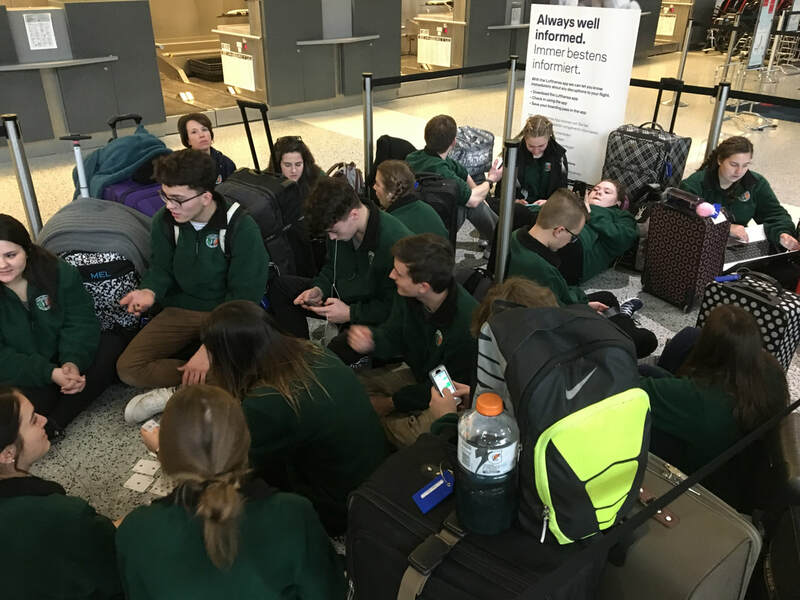 It took less than 5 minutes to get our entire group through customs. Thank you Ireland for the warm reception!